Photo: Satellite image of Mars. The largest canyon in the solar system cuts a wide swath across the face of Mars. 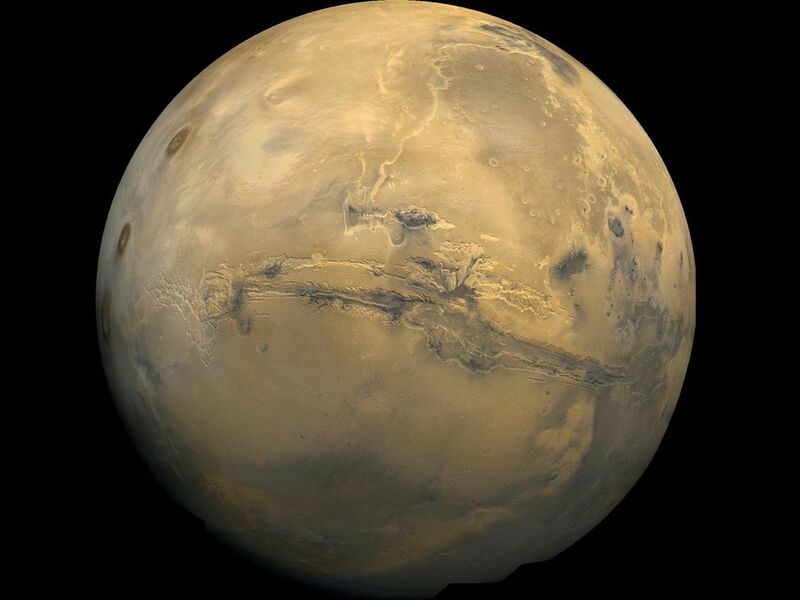 Named Valles Marineris, the valley extends more than 3,000 kilometers (1,865 miles) long, 600 kilometers (373 miles) wide, and as much as 8 kilometers (5 miles) deep. Encyclopedic entry. A canyon is a deep, narrow valley with steep sides.